Sam Reinhart scored in the third round of the shootout as the host Buffalo Sabres snapped a seven-game losing skid with a 4-3 victory over the St. Louis Blues on Sunday. Buffalo captain Jack Eichel and St. Louis forward Tyler Bozak each scored in the first round of the shootout and Reinhart's bid banked off Jake Allen's glove and into the net to set the stage for former Sabres forward Ryan O'Reilly, whose shot deflected off the crossbar to end the game. O'Reilly initially received a mixed reaction from the crowd in his return to KeyBank Center after being traded to St. Louis on July 1. O'Reilly, who spent three seasons with Buffalo, was booed during the shootout. Evan Rodrigues, Johan Larsson and Conor Sheary scored and Alexander Nylander notched a pair of assists for his first career two-point performance for the Sabres. 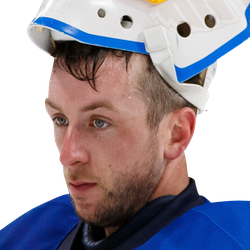 Carter Hutton, who spent two seasons with St. Louis, finished with 30 saves to post his first victory since turning aside 31 shots in a 5-2 win versus Washington on Feb. 23. 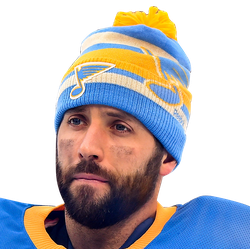 David Perron scored to give him at least a point in 15 straight games in which he's played for the Blues, who have dropped four of five overall and fell to 12-1-1 in their last 14 contests in Buffalo. Brayden Schenn scored, Patrick Maroon also tallied to record his 200th career point and Allen turned aside 31 shots to fall to 6-1-1 lifetime versus the Sabres. Buffalo claimed a 3-1 lead 7:46 into the second period after Nylander wired a sharp circle-to-circle pass to an awaiting Sheary, who blasted a shot past Allen for his 13th goal of the season. That two-goal advantage evaporated after Perron wired a shot from the top of the right circle past Hutton at 12:15 of the second period, and St. Louis forged a tie at 3 at 8:41 of the third following Schenn's wraparound goal. Larsson's one-timer from the left circle opened the scoring at 6:42 of the first period before Maroon answered 2 1/2 minutes later after skating out from behind the net and beating Hutton with a shot that sailed inside the left post. Rodrigues skated into the offensive zone and weaved into the slot before wristing a shot past Allen to give the Sabres a 2-1 lead with 5:12 remaining in the first period. The goal was Rodrigues' ninth of the season and first since Feb. 7.